The Cardinals just beat the Cubs 4-3 in the last of a three-game set, avoiding the sweep and earning one of those Important Victories that will be referenced when the team’s playoff readiness is discussed. It was an exciting game, complete with a three-run, eighth-inning rally and some spectacular play from both teams. 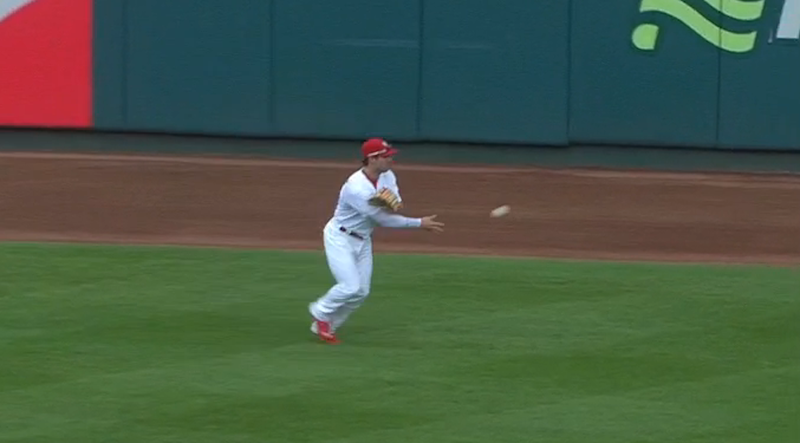 But there was nothing wilder than Cardinals center fielder Randal Grichuk’s contributions to the game. Grichuk went 0-4 with three strikeouts. Baseball is a wonderful sport.